28th April…a day like any other? What is so important about April 28th? It’s the 118th day of the year or the 119th in any leap year. It also means there are only 247 days of 2015 remaining! But it’s not a day like any other ….over the decades significant numbers of people across the world have been killed, injured, disabled or made ill as a consequence of working for a living. The 28th of April provides a single focus each year for those of us who can make a difference to reflect on the staggering number of people who are affected, not only those directly involved but their families and the impact that each accident or case of occupational disease has on the wider community. The world of work has changed dramatically for some but not all of us, on 28th April 1869 it is recorded that labourers for the Central Pacific Railroad working on the First Transcontinental Railroad laid 10 miles of track in one day, a feat which has never been matched. I could find no detailed record of the impact that this ‘feat’ had on the workers themselves, however with labour-saving devices in those days consisting primarily of wheelbarrows, horse or mule drawn carts, and a few railroad pulled gondolas, the impact of this immense amount of manual labour will undoubtably have taken its toll. On 28th April 1914 and 1924 mining disasters in Eccles and Benwood West Virginia claimed the lives of 300 miners. There were no survivors in the Benwood Mining Disaster, caused by the ignition of methane gas and coal dust, the names of the 119 killed, remain a sombre reminder of the event. On 28th April 1986, high levels of radiation resulting from the Chernobyl disaster were detected at a nuclear power plant in Sweden, leading Soviet authorities to publicly announce the accident… the result of a flawed reactor design operated by inadequately trained personnel. On 28th April 2014, an HSE Press Release recorded the life-changing injuries suffered by Kevin Lowe, 48, as a result of an incident at Tangerine Confectionery Ltd in Blackpool on 19 September 2012, he is now only able to walk short distances with the use of a stick. It goes without saying that the impact of each and every instance of harm as a consequence of working for a living is significant to the sufferer. The 28th of April encourages us all to stop and think about what has gone before, what lessons can be learned, how things can be done differently and what needs to change to tackle emerging health and safety issues within the world of work. 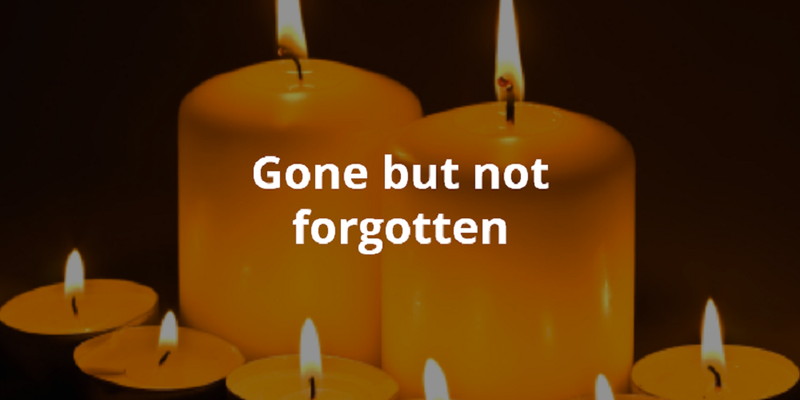 If like myself you have no direct experience (thankfully) of dealing with the outcomes of a work related accident or ill-health caused by work, take a few moments to reflect on list of names linked to the Benwood Mining Disaster, or visit RoSPA’s Workers Memorial day web page.